Father of the Nation Bangabandhu Sheikh Mujibur Rahman’s 99th birth anniversary and the National Children’s Day – 2019 was observed with due respect and festive mood at all ships and bases of the Bangladesh Navy on Sunday. 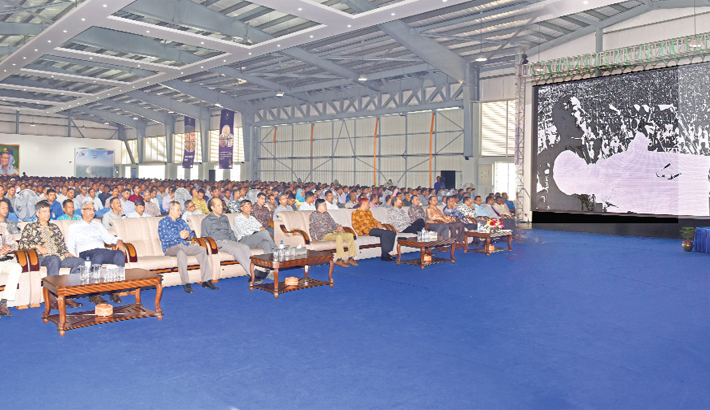 On the occasion, special documentary film on the life of Father of the Nation Bangabandhu Sheikh Mujibur Rahman was screened at the water vessels, ships and bases. All the military and civilian officers and sailors of the Navy participate in the programme. Milad and special munajat were held in all the mosques of naval bases for seeking forgiveness of the Father of the Nation. On the occasion, the President and the Prime Minister placed tributes to the grave of Bangabandhu Sheikh Mujibur Rahman at Tungipara in Gopalganj.